Our veterinarians are all graduates of the Ontario Veterinary College with years of experience caring for dogs, cats and other animals of all shapes and sizes (although our focus at Eglinton Vet is your dogs and cats). The doctors are supported by a compassionate team including our practice manager, customer service team, veterinary technicians and animal care assistants. We are pet owners just like our clients! Dr. Bob Watson, B.Sc., D.V.M. 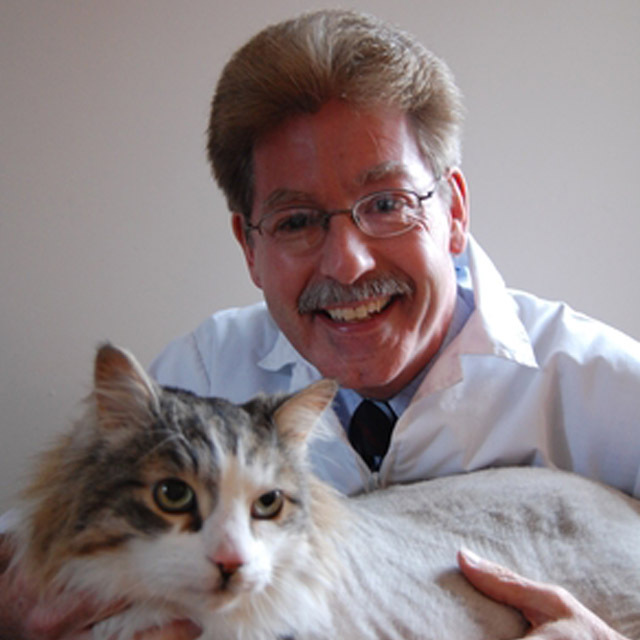 Bob earned his Honours Bachelor of Science Degree from the University of Guelph in 1979, and joined Eglinton Vet after graduating from the Ontario Veterinary College in 1984. 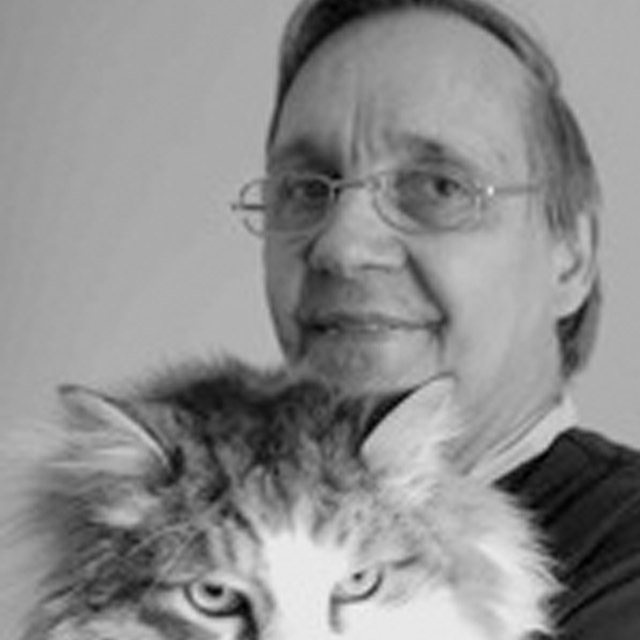 Bob is well known in the neighbourhood, and prides himself on knowing something special about every client and their pets. He is now caring for second or third generations of pets for many of our families! When not at the clinic, Bob enjoys time with his wife and two daughters and he can often be found on the golf course in the warmer months. Dr. Beverley Bateman, B.Sc., D.V.M. 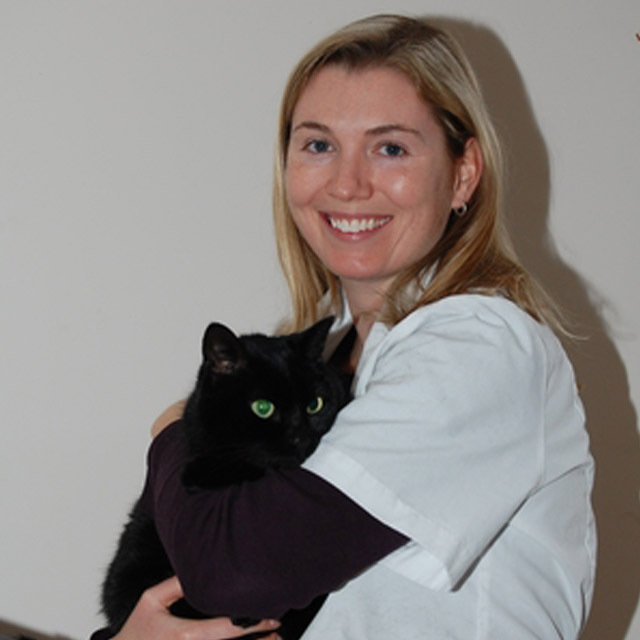 Bev first worked at Eglinton Vet as a student in high school and joined the veterinary team full time in 2001 following her graduation from the Ontario Veterinary College. Prior to coming to EVF, Bev worked in wildlife rehabilitation and traveled to assist small and large animal veterinary practices in East Africa. She was thrilled to be offered the opportunity to join the EVF team immediately after graduation, and became owner of the clinic in 2009. Outside of work, Bev is very busy with her family, including two sons who are constantly on the go, a Golden Retriever named Sunny and three cats. She is also very active in advocacy for people with Lyme disease, and enjoys using her veterinary knowledge to help humans as well. Dr. Jennifer Hodges, B.Sc., D.V.M. 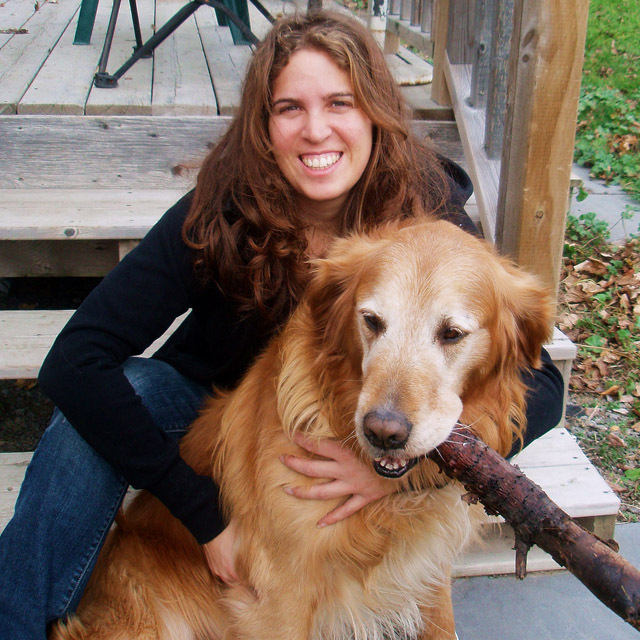 Jen grew up in North Toronto, working as a summer student at Eglinton Veterinary Facilities for a number of years. 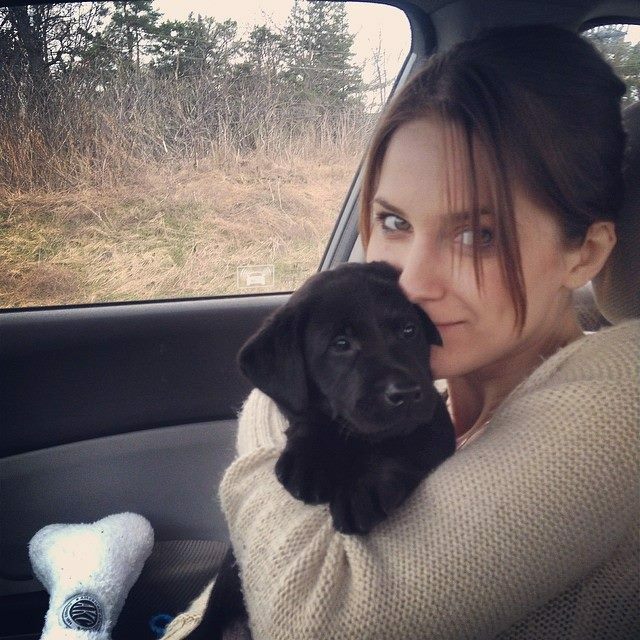 She attended the University of Guelph, obtained her Bachelor of Science degree and graduated from the Ontario Veterinary College in 2006. Jen has one cat and a Boxer named Sawyer. Jen enjoys challenging medical cases, and is our resident expert on nutrition. She has been responsible for the fantastic weight loss of our clinic cat, along with that of many of our patients. 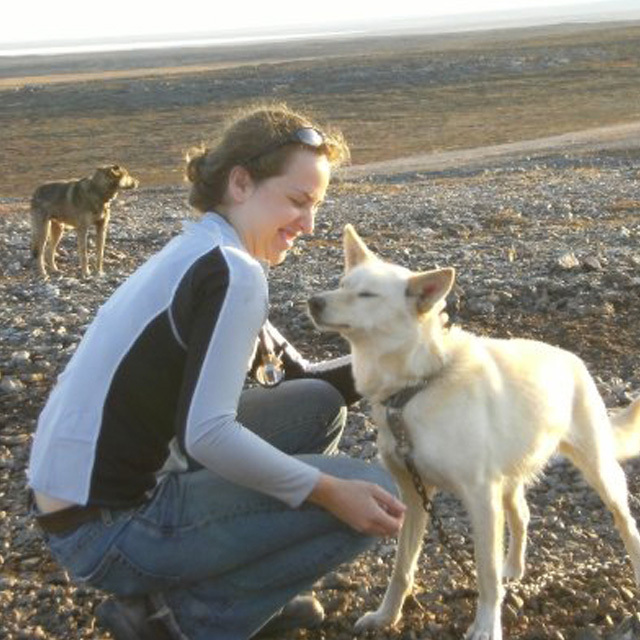 Jessica is a 2007 graduate of the Ontario Veterinary College. Following graduation from Veterinary school she worked at Woodbine Racetrack and then as a small animal veterinarian in Toronto. In 2012, Jessica left veterinary medicine to attend the Royal College of Surgeons in Dublin, Ireland, where she completed training as a medical doctor (yes... she is a ``people doctor`` too!). Veterinary medicine drew her back, and Jessica was working at a veterinary emergency clinic in Brampton prior to joining the EVF team. She is excited to be working again in a neighbourhood practice where she can build relationships with our clients. Life has come ``full circle`` for Jess, who grew up in North Toronto, and volunteered at EVF prior to university. Although Jess has no pets of her own right now, she would love a farm with horses (she has just started riding again), an Irish Wolfhound and a German Shorthaired Pointer. 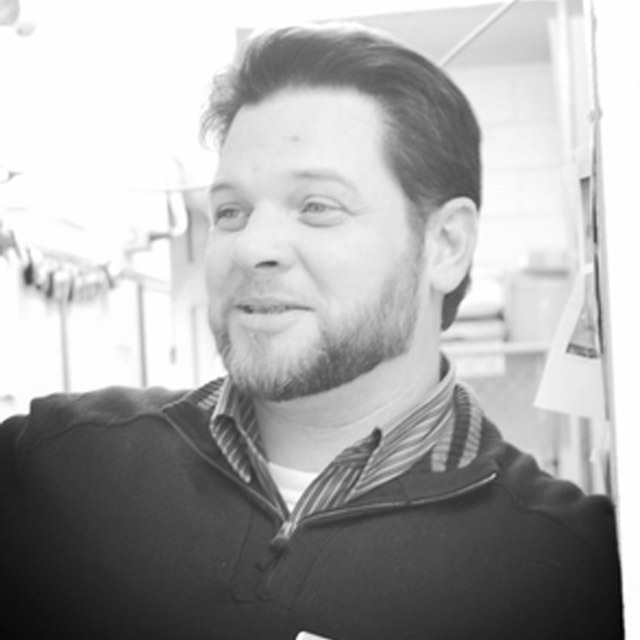 Matthew joined our animal care team in 2001 as a veterinary assistant. He came to the clinic looking for a new challenge after leaving behind a very successful career in the record industry, where he owned and managed a record label. Through the years, Matthew has used his experience to help with logistics in the clinic, and he now focuses solely on management, working with our team as well as all of our suppliers to provide our clients and patients with the best possible care. Outside of the clinic, Matthew is also very busy as he has two daughters, many pets and hobbies. Please feel free to contact Matthew at: info@eglintonvet.com if you have any questions for us. 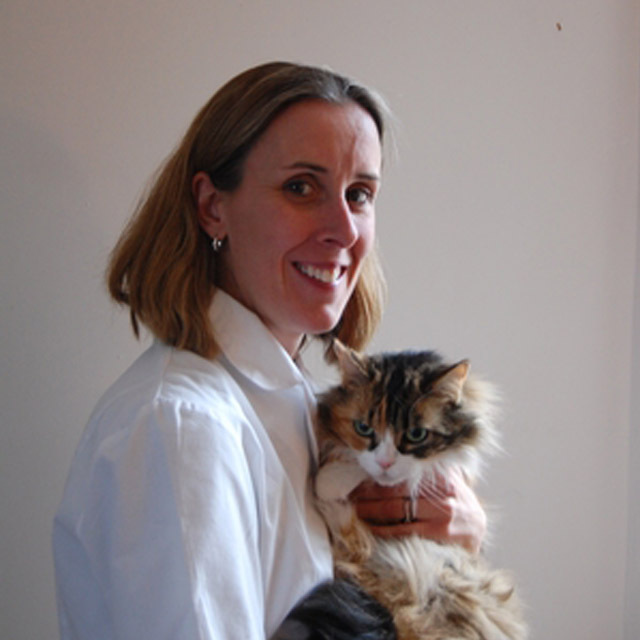 Sandra has been in the veterinary field for over 15 years, bringing her skills and experience to Eglinton Veterinary in 2008. She graduated from Seneca College's Veterinary Technician program in 2003 and obtained her designation as an RVT shortly thereafter. 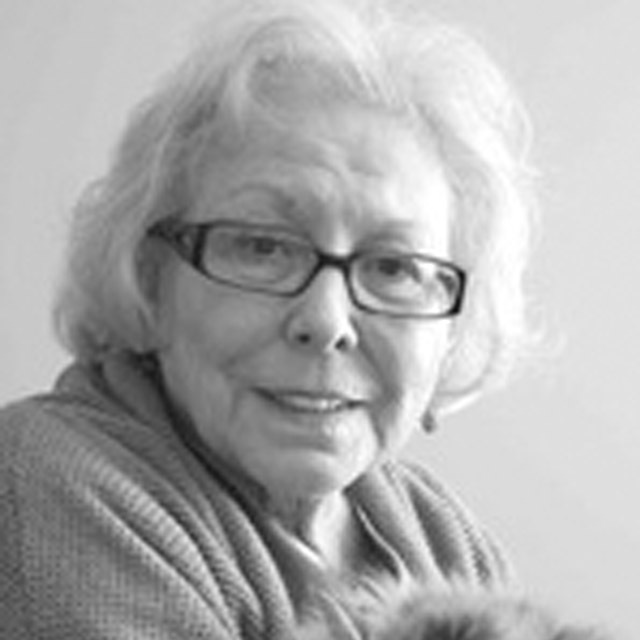 Sandra takes great satisfaction from helping to keep our client's pets happy and healthy. She is particularly interested in surgery, and has helped us to get our successful Laparoscopic surgery program off the ground. Stacey grew up in Kingston, and had the opportunity to work as an assistant at a clinic there to start her career. She knew from this point that she wanted to work with animals, as she is passionate about their care and welfare. She graduated from the St. Clair Veterinary Technician Program in 2002, and has worked in clinical practice ever since, joining our team in the fall of 2013.  Outside of work Stacey enjoys travelling and even spent some time living in Australia and New Zealand. 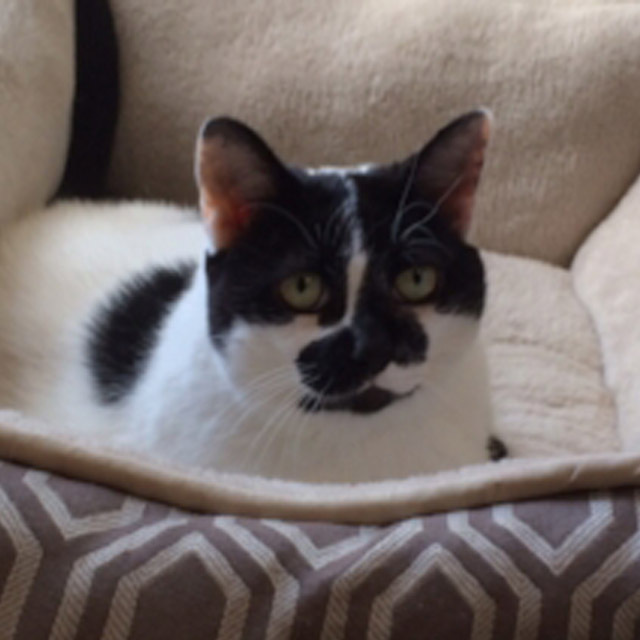 She currently shares her home with Poncho, who is a senior cat adopted 2 years ago. Joanna joined the EVF team in 2016 as a part-time member of our team of veterinary technicians. She was born in Toronto and raised in Scarborough with some work along the way on her grandmother's farm which inspired her to try her hand as a veterinary assistant and then to attend St. Lawrence College to become a vet tech. Joanna's current 'mini zoo' consists of three cats (Stacey, Stella and Stanley), two turtles (Soup and Chowder). She misses her sweet canine companion named McCoy, who she called her ``thief of meals``. The household is completed by her kids, the 'zookeepers' Malachi and Illiyanna. Although leisure time is rare for Joanna, she does enjoy traveling, movies, walks in the woods, reading and dancing. Melanie is EVF’s daytime receptionist and is responsible for co-ordinating many of our patient visits and keeping the doctors on track (which can be very challenging!). Since joining our team in the summer of 2012, she has worked very hard to make connections with those coming through our front door, and her goal every day is to make our clients and pets feel warm and welcomed. Melanie was born and raised in Thornhill. 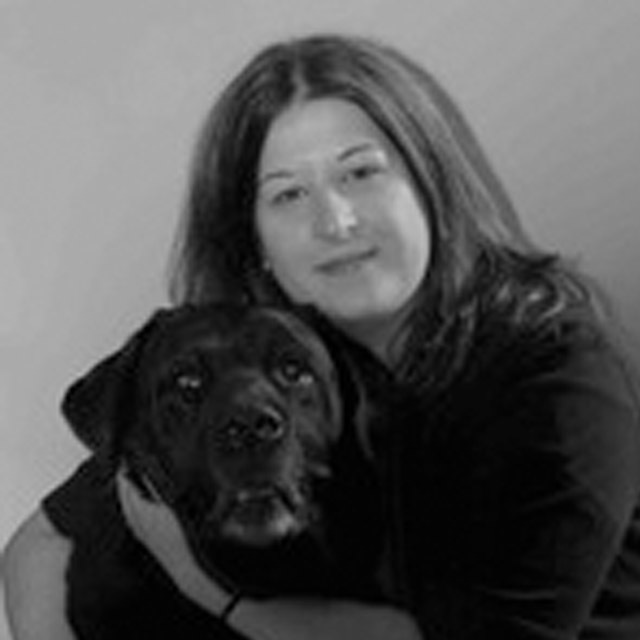 She started to work in animal care in 2000, after completing the Animal Care Assistant course at Sheridan College. Although originally trained to assist the veterinarians and technicians with clinical work, Melanie found that she enjoys the challenge of reception work at a clinic and the interactions with clients. 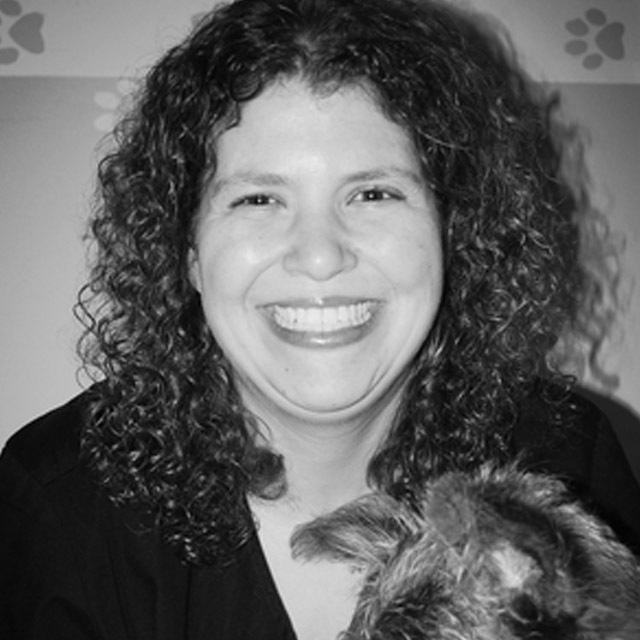 Many of our clients will know of how hard Melanie works to make each pet feel comfortable-she is the ``cookie lady``! Outside of the clinic, Melanie enjoys cooking, and considers herself a ``foodie`` who loves to try new foods. She also enjoys movies and traveling. However, her deepest passion is that for her beautiful children, Jacob and Mayah. 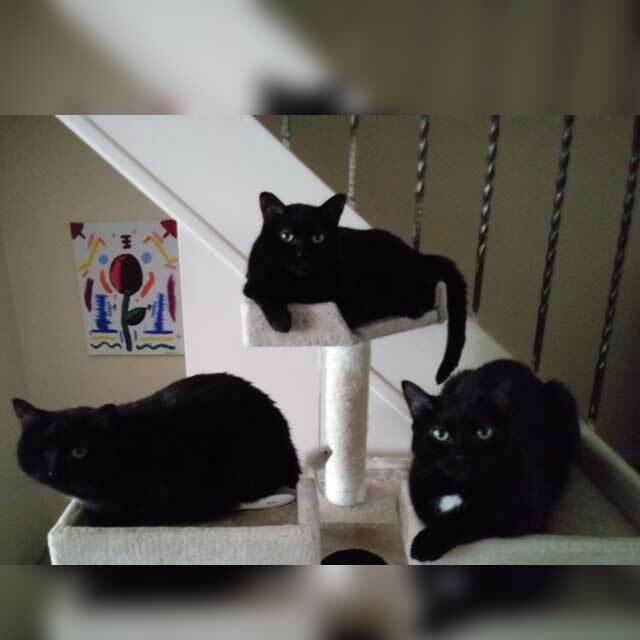 They share their home with their cat Panther who was adopted from another veterinary clinic. Sharon is our staple weekend receptionist and also blesses us with her humour 2-3 afternoons a week. Sharon was raised in a theatrical family, taught English for many years, and worked at a major human hospital in London, Ontario. She decided to start anew upon retirement and went to work at an animal hospital in London. She joined our team in late 2009 after relocating to Toronto to be closer to her two daughters. She has found that she loves working with our clients and patients, despite the exercise she gets running up and down the stairs at the clinic! Sharon loves to enjoy good food and a movie or quiet time with a book at home with her cat, Sophie, and her tiny dog, Lina. Kristen joined the EVF team as a part-time assistant in August 2018 but was quickly thrown into the difficult role of handling the front desk on a full-time basis. She does have previous experience working with animals, having walked dogs through the years, and she did work as an animal care attendant during high school. Kristen also worked with the Lion’s Foundation for 9 years, fostering and training future dog guides, which has built her knowledge about training dogs. Although this work has been put to the side after having a baby, we know that she will be back at it as soon she can! When asked what she likes about this job, Kristen noted contact with the animals (of course!) and also how nice it is to work for a clinic that always puts the animals first (we love this!). Kristen shares her home with her young son, along with “Celtic” who is a very happy-go-lucky Labrador Retriever and “Ernest Hemingway the cat”, an equally relaxed 6-year old brown tabby. If there is any free time available Kristen would think about reading books, writing stories, watching detective shows, dog training, horse training, riding horses or just simply exploring the outdoors with her son. Chelsea joined the EVF team in the summer of 2018 and quickly picked up the flow of working our busy front desk. She had the ideal background, having worked both reception and as an animal care attendant at other clinics in the GTA, including emergency and regular veterinary practices. Chelsea also completed the first year of the Veterinary Technician program at Seneca College, along with a dog grooming course. She is hoping to continue her studies at some point and is especially interested in animal rehabilitation work. Chelsea’s passion for animal welfare is obvious, and she is happy to be working to advocate for the health and well-being of our patients. Chelsea is “fur-mom” to Tucker, a 4-year old German Shepherd cross, who also loves to cuddle with his brother Snowball (a rabbit) and his sister Maya (a ‘Tortie’ cat). In her spare time, she likes to get out to explore areas of the city that she has not seen before, and she seeks out the hottest vegan restaurants. Harry has worked at EVF for a number of decades, caring for at least generations of our patients (30+ years!). His work occurs mostly 'behind the scenes' where Harry can be found assisting our doctors and assistants, as well as maintaining the facility. He is our own personal ``MacGyver`` and can fix or build almost anything. Harry is also primarily responsibly for any dog bathing that occurs at the hospital. 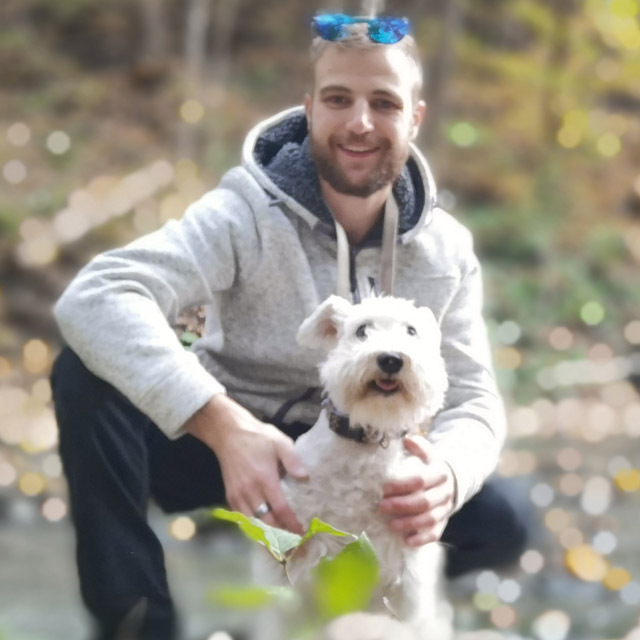 Luke moved to Canada from the United Kingdom in 2011, and after living in British Columbia, he moved to Toronto where he has worked in other veterinary practices before joining the EVF animal care team in 2017. Prior to leaving the U.K. Luke did complete two post-secondary diplomas related to the field (one in Animal Care and Management plus a BSC in Wildlife Biology). Since moving to Toronto, he has also completed the first year of a Veterinary Technician program, which is currently on hold. Luke lives with a Miniature Schnauzer named Lana and a DSH cat named Vance, who came to him through an EVF client who had kittens looking for a home. Through the years he has owned several pets including hermit crabs, fish, snakes, birds and an Axolotl (we had to look that one up and learned that it is a type of salamander!). Luke always has projects on the go, both at home and at the clinic. He enjoys gardening, landscaping, interior design and photography, along with hiking and rollerblading (you will often see him roll up to the clinic in warmer months). Holly first joined the team at EVF as a student in the TDSB Co-op program during the 2017-2018 school year. Her passion to continue in animal care was evident, and she is now working at EVF in hopes of using this experience to apply to become a Veterinary Technician who specializes in wildlife rehabilitation or physical rehabilitation. Holly says that she has loved all animals since she was a child, and always thought that she might want to work with animals, but this dream was cemented into place when she got her dog, who is an English Bulldog named Monty. She enjoys interacting with all the pets who come to see us at EVF. Bo joined the EVF team in the summer of 2014. At that time she was presented to our doctors grossly obese and suffering from diabetes mellitus. 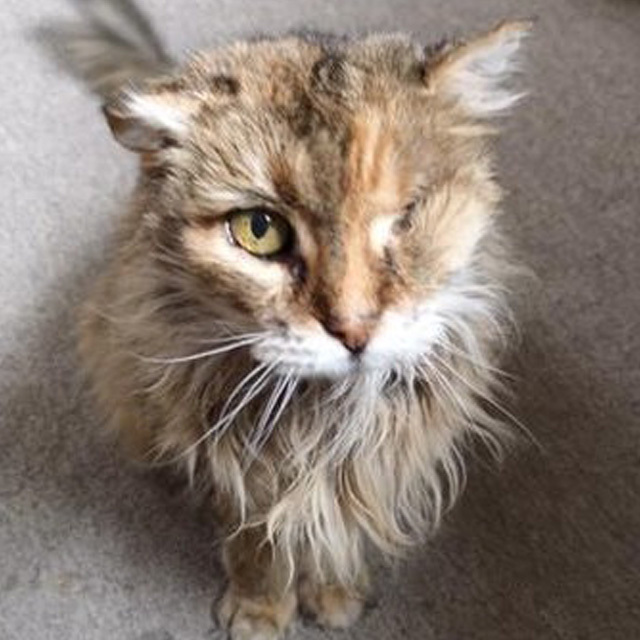 Her owner was unable to continue her care, and we were lucky enough to be in a position to adopt her as our own; she moved into the offices on the second floor of the clinic building, happily becoming the only cat after leaving a home with many other pets. Bo was immediately started on a prescription calorie control diet (think ``Jenny Craig for cats``) and insulin. Through consistent weight loss and a proper diet, her diabetes reversed quite quickly. As her weight loss progressed she slowly became mobile, exploring more and more of our space over time. Many of our clients will have seen Bo in our front reception room in the evening, demanding her dinner. Bo is a very special part of our EVF world, and is a testament to how important proper weight is to keep a cat healthy. 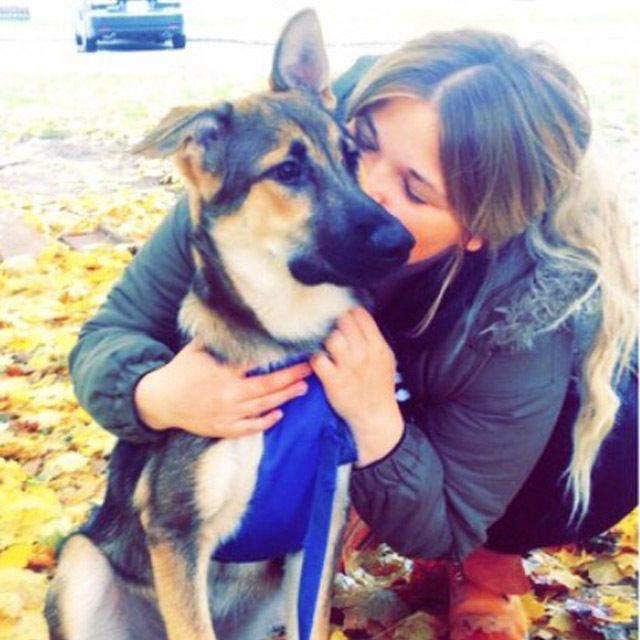 Kaylee joined the EVF team in August 2018 when one of our long-term clients was no longer able to keep her. Kaylee now shares the second floor of the clinic with Bo and although Kaylee is missing an eye (due to an old injury) and is 18 years old she has taken charge over the space. We think of her as the EVF matriarch!